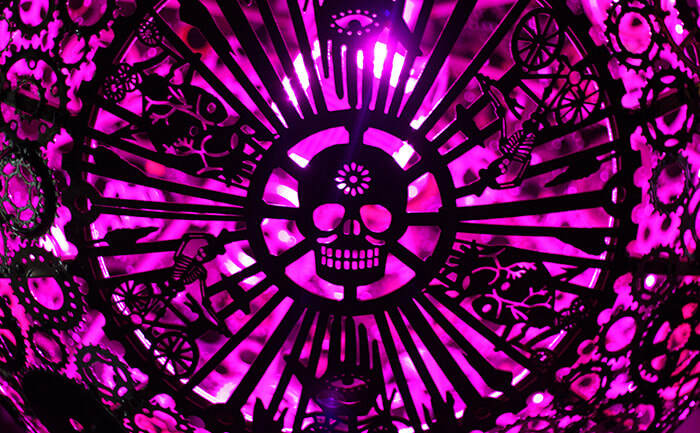 Ballroom Luminoso uses imagery adapted from the Mexican card game ‘La Lotteria’ to give narrative context to this San Antonio based sculpture. 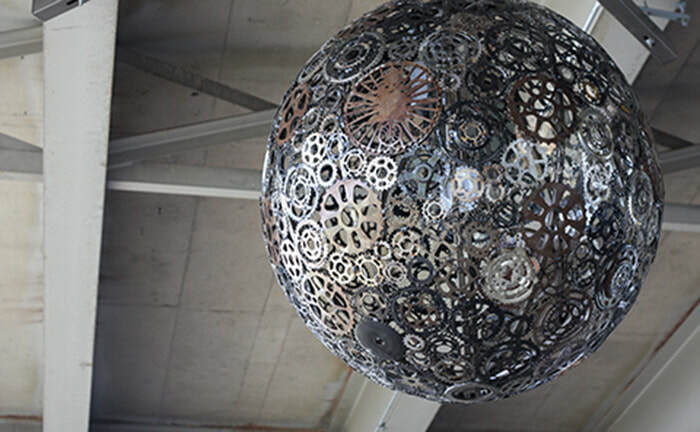 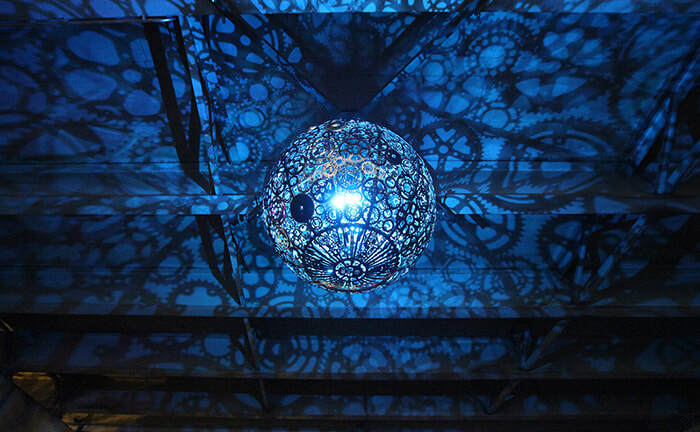 The artwork is suspended within a freeway underpass and consists of six illuminated ‘chandeliers’ made from recycled bicycle parts. 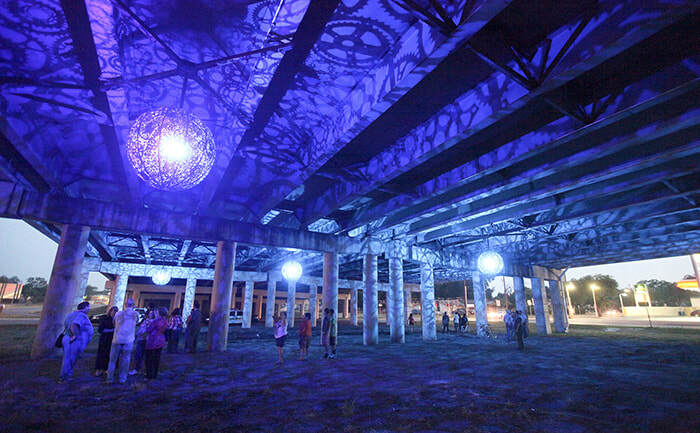 The piece won a Public Art Network ‘Year in Review Award’ for 2014.